On the 24th of March The Westminster Collection had Flight Lieutenant Anthony Parkinson MBE take 800 2018 Uncirculated Spitfire £2 coins up into the air in Aero Legends Mk IX Spitfire TD314 ‘St George’. 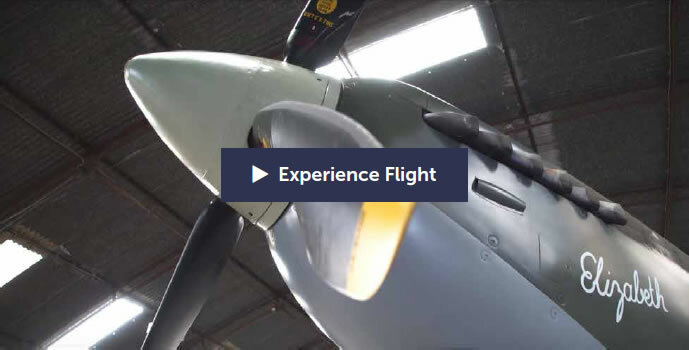 They also recorded a great interview with Parky discussing his career in the RAF, comparing his experience on the Typhoon and Spitfire. Parky is our Chief pilot, with his resume it’s easy to see why! On the day the chance of flying was in doubt because of the poor visibility caused by a low cloud base. The rest of the morning was spent nervously looking at the sky waiting for enough visibility for Parky to safely take ‘St George’ into the air. The delay caused by the weather gave The Westminster Collection the opportunity to talk with Parky about his time in the RAF and how the Spitfire compares to the modern jets he has flown. You can see Parky discussing his career in the video below. At 2.00pm the low cloud cleared enabling Parky to take ‘St George’ into the air. We quickly pushed the aircraft out of the hanger and Parky secured the 800 Spitfire £2 coins into the wing bays which would have once held the plane’s armaments. Parky swiftly took to the skies and despite the cloud cover, it was fantastic to see the warbird race through the sky at the hands of a former Red Arrows display pilot.